Today’s Wall Street Journal has an interesting story on the Sharper Image, the ultimate 80s mall store, and how they’ve come to realize there’s more money to be made in selling the brand than in selling the stores. And while Sharper Image was full of gimmicky “why would anyone need that” merchandise of the sort found in the back of airline magazines, there was a certain cachet to their products, especially in the early years. They were, after all, one of the forerunners of yuppie consumer culture, one of the first brands that said “hey, it’s okay to spend money on something just because it looks really cool.” And by “cool” they meant sleek and business/techy looking, which, for those of you too young to remember, was kind of a breakthrough concept back in say 1984. Turning a retailer with a strong brand image into a wholesaler is an interesting play. 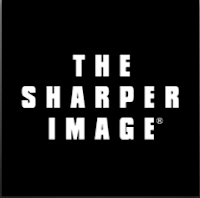 Sharper Image has always had a strong brand image: you knew exactly what the store was about and what the products said about the people who bought them. (Even if that message was “I spent too much money on something no one really needs.”) And their ability to have a second act, to revive the brand is directly attributable to that strong brand image. Which is why it’s so important for brands to stay true to who they are. To keep not just their advertising, but their products and designs and user experiences, on track. Because a consistent brand is a brand that can live forever. Or for a very long time, anyway.